Alexandra Pecci, front, orders food at Woodman's. 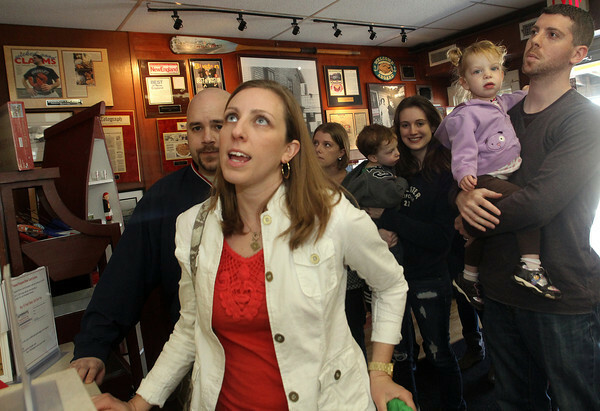 She is with her husband Brian Pecci, left, and her friends, the Pietal family of Ipswich - behind them from left are: Rosie, Miles, 1, cousin Maria Fournier of Hooksett, N.H., Molly and dad Matt Pietal. Photo by Allegra Boverman.